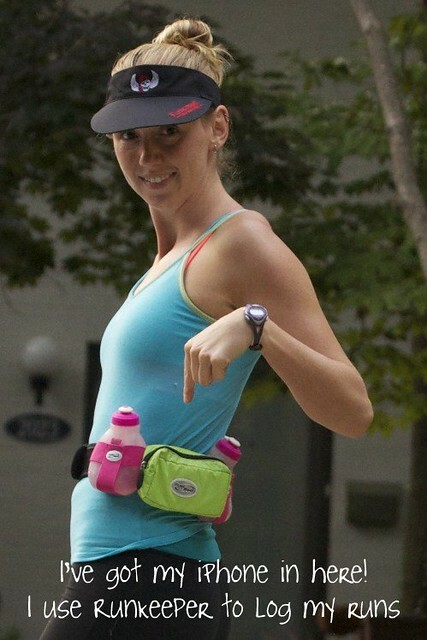 Every Saturday morning I head out for my long runs with Jenny. We are 11 weeks out from our first marathon, the Marine Corps Marathon in Washington, DC. Last Saturday Jenny and I went out for a total of 12 miles. 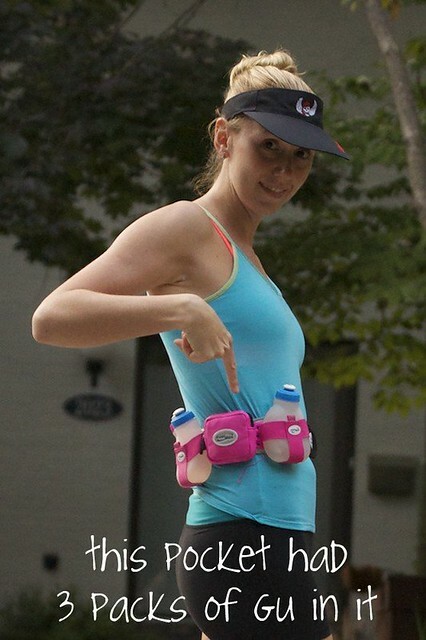 I know that my hydration belt looks dorky, but it is totally necessary for long runs! Long runs are a very important part of training! 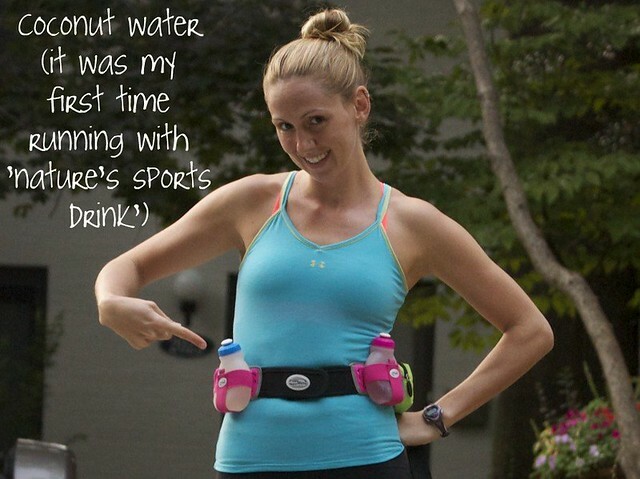 They teach your body to endure running for both a long time and a long distance. 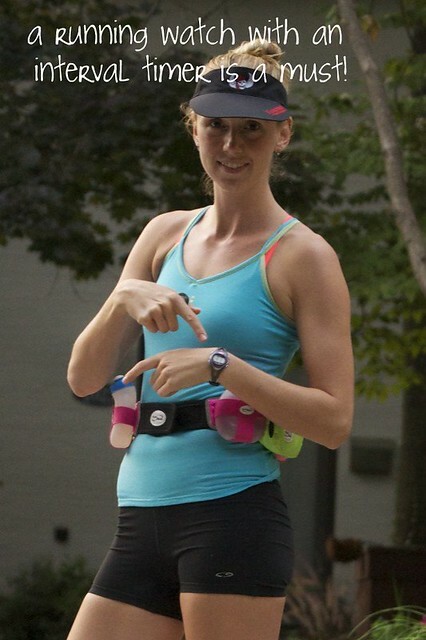 I am a huge believer in Run/Walk , so that is how I do all of my training. But you can start adding long runs by adding 2 miles to the furthest you have run and slow down 2 to 2 1/2 minutes per mile. So if you usually run 3 miles at a 10 minute mile pace, do a 5 mile long run at a 12 minute mile pace! 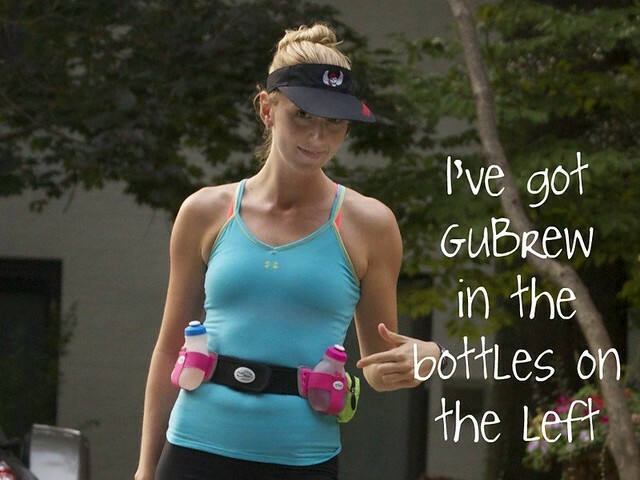 Make sure that you use Gu before you head out and take another one every 45 minutes, stay hydrated and have FUN! 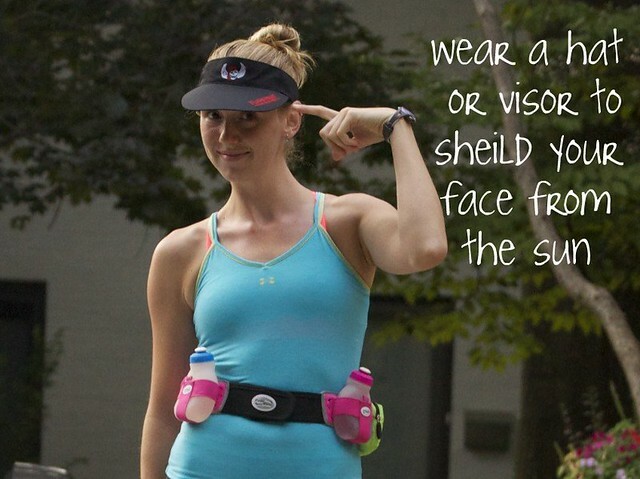 visor - OBX flying pirate 1/2 marathon! You have to run to get one!